A significant number of individuals have some level of dental phobia. The case where the phobia is bad enough to stop them from going to a dentist leads to oral disease which can at times lead to acute complications to health. At ProCare Family Dental we appreciate that these individuals with significant phobia for dentist need to be seen. In order to break the cycle of fear, individuals who need a lot of dental work can have their dentistry carried out whilst they are asleep. The main difference with having the procedure done in the dental practice compared to hospital under general anaesthetic is the convenience. Becoming familiar with the surroundings at a dental practice and having a procedure at the same place is much better than going to hospital and presenting at a surgical theater. Specialist dentist who come to our practice are individuals who have gone for further training in dental sedation and emergency medicine. They will be responsible for attending to you whilst under sedation and dentist at ProCare Family Dental manages the dentistry needed. The sedation method used by our sedation specialist leaves the patient feeling good after the procedure. There is no sick after effects and most patients can walk out of the surgery on their own, though this is never allowed as we will have someone walk them to their vehicle. It is not recommended that they drive so often we encourage a carer to drive them to the procedure and back. If a patient requires sedation at our practice we will give them the specialist details and they will make an appointment to have a preoperative consultation. 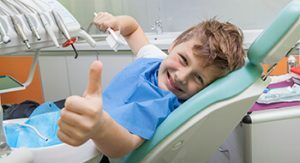 The consultation can be organised to be done at ProCare Family Dental. Should the specialist feel that the patient is a suitable candidate for sedation our friendly staff will organise another appointment to have the procedure carried out. Help is at hand for those with dental phobia. Unnecessary suffering of dental ailments is a thing of the past. We have the ability to help those with phobia’s of dentistry overcome their fear and have their dental needs met.